La Trinacria — Ital-Cal Horse Management, Inc.
La Trinacria, a three-year old filly by Harlan's Holiday-Almeria Gal, owned by Teresa Viola Racing Stable and trained by Agostino Affè, won her debut on November 8th 2015 at Capannelle in Rome, Italy. 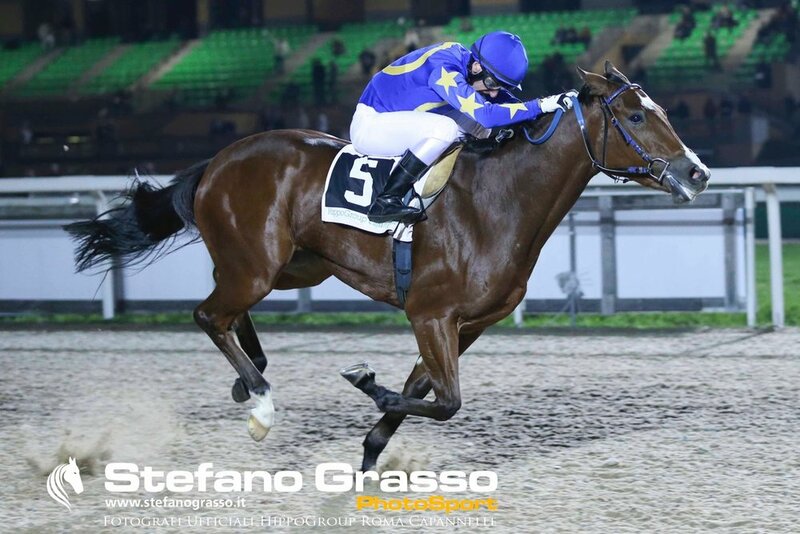 She went on to be second in the prestigious Premio Regina Elena, Group III, 1600 mt turf, US $135,000 on April 24, 2016. La Trinacria was bought by Ital-Cal Horse Management, Inc. for US $47,000 at the OBS 2yo March Sales.